Inspiring the world to live better through art, music, & technology. A collective of up-cycle engineers and artists who develop creative solutions for real-world problems. Our mission is to use art and science to inspire the use of renewable energy and sustainable living applications across the globe. We envision a world where renewable energy and sustainable living applications are inexpensive, obtainable, and accessible. 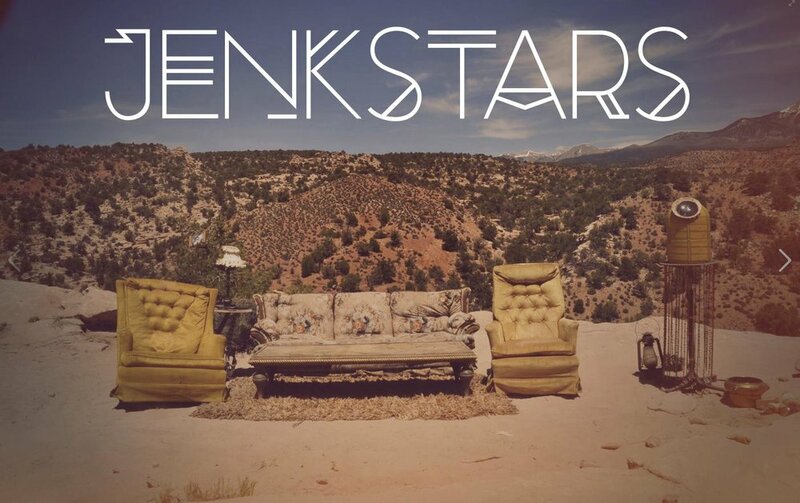 The JenkStars collective has over a decade of experience in sparking knowledge through art made from repurposed material. Our solar powered art installations have powered and educated events across the country. For almost a decade we’ve invited experts who lecture on anything from harvesting honey, to Rocky Mountain Power’s solar energy ventures, to permaculture, and more. Our doors are open to all who want to learn. We host Sustainable Living, Art, & Music events at the JenkStar Ranch in Green River Utah – usually in the spring and fall. Our events are family friendly, powered by solar and wind energy, our installations are built from reclaimed and re-purposed material and our workshops are led by experts in Sustainable Living, Movement & Flow Arts, Healing Arts, & Permaculture. Everyone is welcome to attend and/or contribute to this revolution. Come learn more about sustainable living through art, music, and technology. You have registered for the Jenkstar newsletter. Thank you!